Hello, A to Z peeps. So, it was a really big announcement the A to Z Team had for you this past Monday. 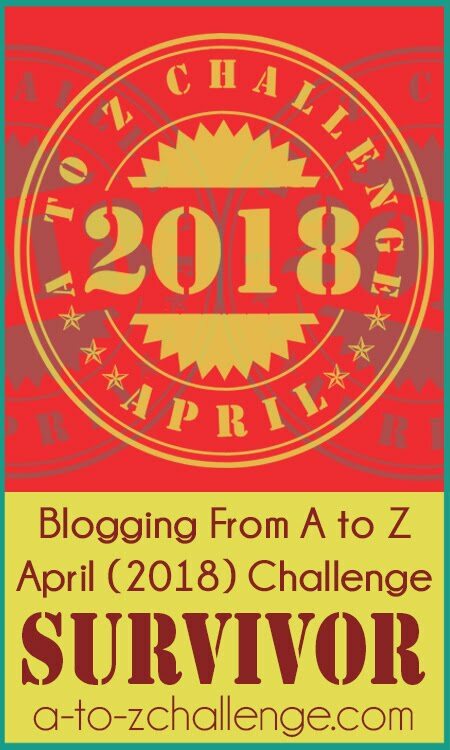 The A to Z Challenge, without a sign-up list. Please believe us when we tell you that this decision was not an easy one. The list was completely overwhelming for the Team and not properly maintaining it, is just not acceptable for us. We know it might be a little frightening. Maybe a little inconvenient. Maybe even a few extra minutes a day, but we're hoping you'll still give the Challenge a chance. Please stay tuned to the blog. We're going to work out some kinks. We're going to listen to suggestions. We're going to make sure that all the participants know the what, when, where, why, and how's. No reason why participants shouldn't have to do a little bit to help themselves! Some of us have been linking to the Facebook posts for each letter in previous years. I for one don't understand it, but appreciate that a list entails much work for people like you behind the scenes. I am still considering whether to enter or not although I have all my poems already written for the challenge. Yes. Lots of the participants were already posting on the FB threads already. Hi Yvonne. Let me see if I can help by going through the steps. 1. Post your Letter A on your own blog. 2. Copy the link to your Letter A and come to this Main Challenge Blog. 3. Find the Letter A on this blog and post your Letter A link in the comments section. 4. Optional-Share on other social media sites. 5. 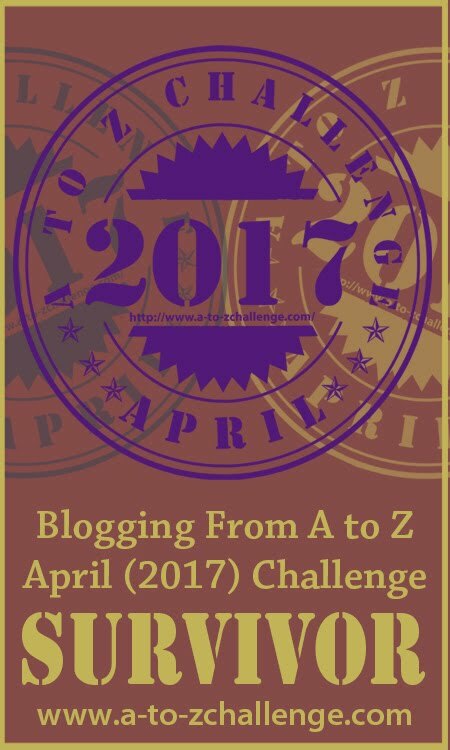 Optional-Share on the Blogging from A to Z Challenge FB page under the Letter A. This is an example of what a comment might look like. Stormy the Weather Gnome, and friends, star in this action-filled docudrama detailing Stormy's quest to find the cure to his ... predicament. I didn't create an actual link for the URL in this example, just pasted the URL. Anyone could copy and paste the URL in the bar above to go to the blog. We will have blog posts coming up to help people create a link, just like you can create a signature link to leave in your comments on blogs you visit. Why not make the list on or after 1st April. So the maintenance will come down but list is still there. Additionally linking to the blog posts and Facebook posts will be there. "No reason why participants shouldn't have to do a little bit to help themselves!" Thank you, Heather, and all hosts. Even posting the list late, there's still way too much maintenance. Trust me! 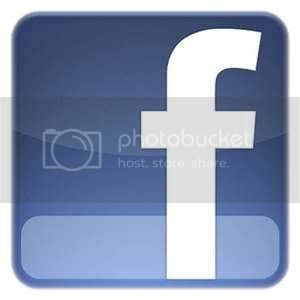 I found the FB links to be the easiest way to accurately find blogs that were active in A to Z and current with the letters of the day. And even when they weren't current they could keep readers updated. When bloggers contacted me after the past lists had closed I always told them to do the FB posting method and to comment on other blogs and that seemed to work for those folks. And believe me, each year there have been a number of participants who were not even on the master list and using the method we are proposing for this year. Yvonne, I think Heather really explained this well in her comment and be watching this blog for more posts about how to do this. Also keep in mind that even now you are posting regularly and have your usual visitors so continuing in April with your A to Z content would not be much different than what you are doing now. Even if you continued your blog activities like you are doing now, A to Z month should work just like your normal blogging. That's a thought. Also, if we had the theme reveal list only then that would be similar. I'm here and still excited. 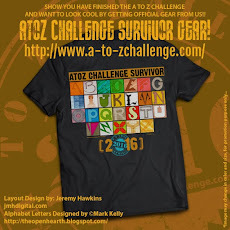 Doing the A to Z last year (my first) was one of the most fun challenges I have ever done. I looked at the list a few times but since there were so many people on it I felt overwhelmed. I did find that looking at the Facebook posts for that days letter was a little less daunting and I could see a little more about what the particular blog was about and could pick the ones I was more interested in. Thanks everyone for continuing to organize! That's what we're hoping will happen in the comments. That there will be more for you to choose from then just a name and a 2 letter code. Please stay tuned while we look into that. I appreciate why the big list is too hard to maintain. But I think that posting links in comments here is going to be way messy. Would it not make sense to have a list we can add to for each day rather than using the blog post comments? Good to hear about this year's challenge, would like tho join in. Though it's bit difficult to maintain, I think if a main list is there, it will be easy for VA to work and even other team leaders can easily monitar the activities. Wish all a happy participation. It's a new methode and I don't think it's that bad. Sure, the list was a reference, but last year it was so long that I seldom refered to it. The Theme reveal list was more manageable and I prefered to use that. I also used twitter a lot, and as usual, I used feedly to follow the blogs I was interested in. I don't see this change as something so upsetting. dlvrit.com will do that. It'll post to Twitter, too. It's pretty easy to set up. I'm looking forward to this new adventure! At first I was thinking that the sheer numbers of comments on the blog here & FB page would be daunting. But then looking at actual post titles will be tons easier than just going by blog names on the list. ....which makes me realize I'll need to up my title game! 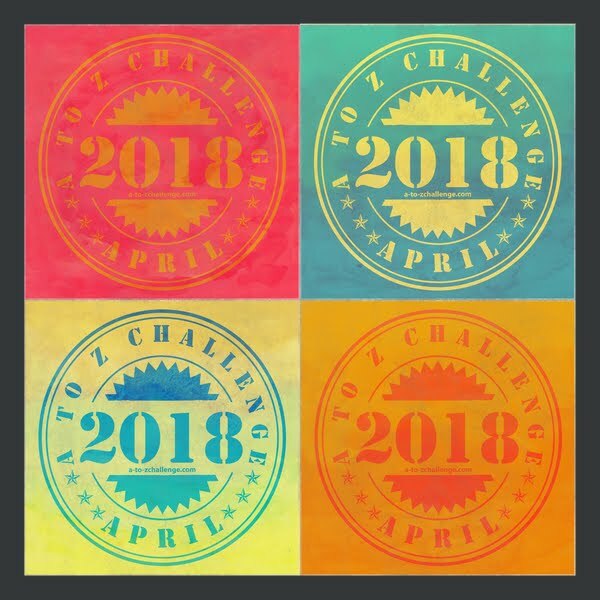 I'm looking forward to this year's challenge. And, as Sarah mentioned above, I stopped using the list as a reference point last year because it was so long. I did try to visit different people, but then I Found myself getting bogged down by the links that weren't actually posting. It was easier to return to the blogs I already enjoyed reading and discover other participants through their comments. It will all work out! I'm thinking it's called a Challenge for a reason. :) I am just happy to be participating because it was a goal I had for this year on my blog. I'll figure out the other matters as I go along. Life is too short to worry about the small details! 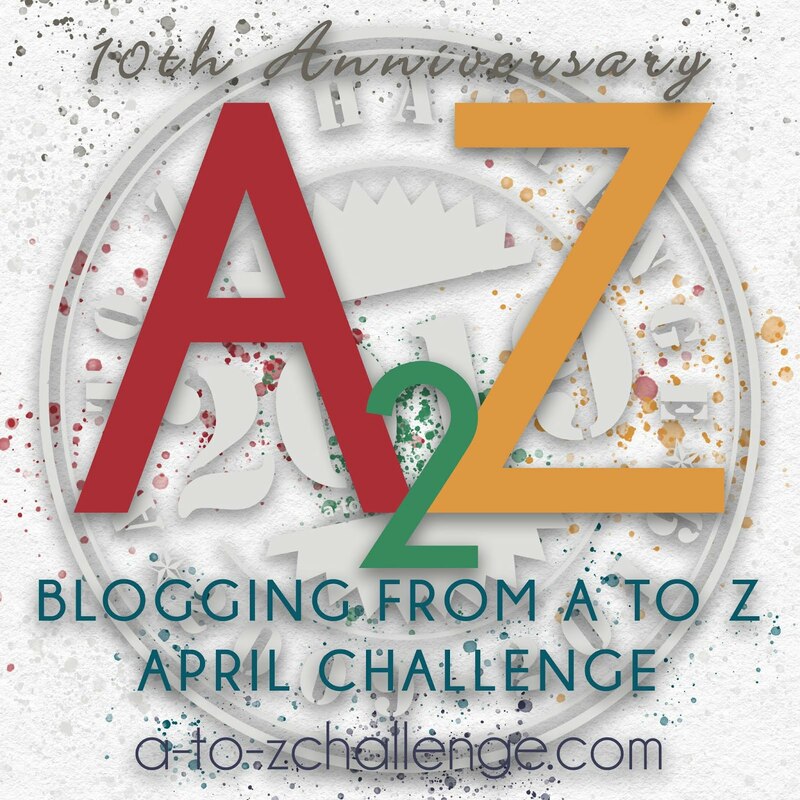 :) Thank you to the A-Z Team for all your hard work and the effort that goes into this blog challenge each year. Thank you for all the comments. We appreciate that so many of you are willing to give the new format a try. The reason I like the linky list is that I can ensure that I read as many blogs as I can during the challenge after all I want to ssupport as any people I can(and ones I like I then subscribe to or follow on twitter or make a note to revisit depending on what works). The concern about the post in the comments section is that I won't have any visibility on which blogs I've visited - and I am likely to come across the same blogs again and again because of my routine (and the routine that I'm sure other bloggers will get in the habit of. People are likely to start at the top and work their way down or whatever method they choose, but it is unlikely to evenly spread readership in the way the linky list chooses. Not sure if anyone has a solution for this. Printed, I think there are more than a few with similar concerns though in the past I don't think the majority of participants ever made it all that far on the list. But I know what you are saying and agree in part. No completely perfect solution from me, but I think we might have to wait after the Challenge begins to see how others address the issue or maybe someone will come up with a good solution beforehand. I know that there is a strong argument for not having a list, but it does help bring the bloggers together in a central place (not everyone is a huge fan of social media). In practice if I come across a blog that is not relevant/not participating I just quickly move on. Silly question but why can't we have the list and then us are readers notify the organisers (dedicated email address perhaps?) to have it removed. Apologies if this has been covered elsewhere. Notes, I this has essentially been covered in a number of ways, but to reiterate, what you describe is the way we had been doing it to one extent. But there were also many more who would add to the list for whatever there purpose was or just not participate and walk away. This is why we had teams patrolling the list for bad links and links that shouldn't have been there. It was a massive undertaking that was ongoing and required more attention than we were able to give. I too like the list, but until we can figure out a more practical less labor intensive solution we will go with this new way as an experiment. * Share it to Twitter with #hashtag ???? * Share it to FB where ???? * Share my Reveal Post to comments on this blog ???? I'm rather confused, but eager! Thanks guys! Jacqui, I think you have summarized the method quite succinctly. Essentially run your blog as you normally would and experiment more with social media. Network as much as you can. This "new" approach is really old school and I think you will begin to grasp things well using methods with which you are most comfortable. Thanks, Arlee. I'm excited to get started!